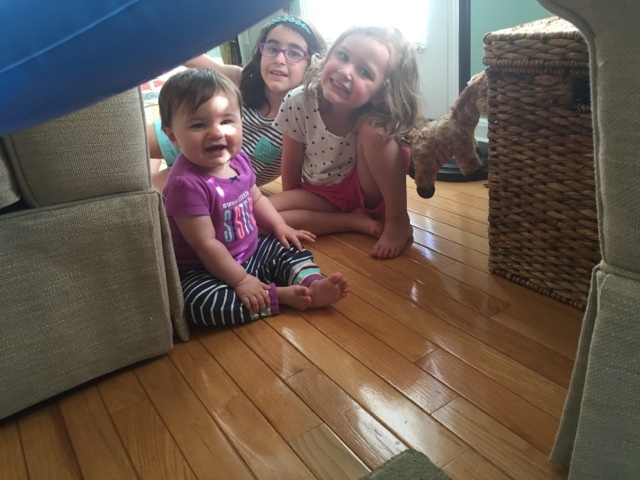 "Look Mommy, we used the baby pool to make a fort, and we invited Madeline to play with us"
Trying to find time for all of the fun things in life. I'm a mother to a toddler and a preschooler, a daughter, wife, runner, cancer survivor, and an 80s music addict. I love to travel, cook, read, organize, watch mindless TV and spend time with my friends and family. We hope you enjoy reading about our family and would love to know you were here; leave a comment!